Tim most likely has someone responding on his behalf, as I can only imagine the sheer number of emails he receives. 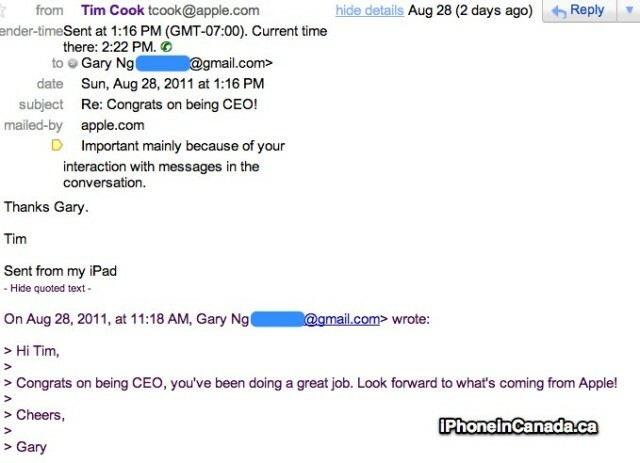 Looks like he’s following in the footsteps of Steve Jobs, with his infamous email replies. Send Tim an email to tcook@apple.com, and I’m pretty sure you’ll get a response too.